Ocean View is a charming holiday property full of character. 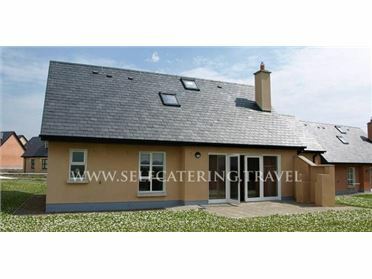 This semi-detached cottage is located six miles from Skibbereen in rural Cork. The accommodation is well equipped and cosy, with a warm and welcoming wood burner in the sitting room, a large kitchen with dining area, and a delightful "viewing spot" across the sea to Heir Island at the top of the garden. Skibbereen offers plenty for all the family to do, including the Heritage Centre, West Cork Arts Centre, a golf course and an indoor sports centre. The harbour town of Baltimore is within reach for water sports, dolphin and whale watching and fascinating shipwrecks. You'll be guaranteed a warm welcome by the inhabitants of the town of Skibbereen. Located at the heart of some of Ireland's most stunning scenery, the town prides itself on its wonderful local produce, and its bustling weekly country and farmers markets showcase the delicious local fare. Sandy beaches, secluded coves, rivers, lakes, hills and forests are all within easy reach and there are incredible dolphin and whale watching opportunities available. This unspoilt area of West Cork also offers the West Cork Arts Centre and Skibbereen Heritage Centre, a superb 18-hole golf course and an indoor sports centre with a fully equipped gym. The picturesque destinations of Leap and Rosscarbery overlooking the ruggedly beautiful West Cork coastline are easy to reach, as are Ballydehob, Schull and Bantry. County Cork is full of truly breathtaking natural beauty. With unspoilt beaches, historic castles, and modern visitor attractions, there's plenty for all ages to absorb and there is always plenty to see and do in County Cork..